LinkedIn can be an avenue that raises a few interesting leads in an editorial office; a change in job title, a move to a rival company, a new startup appearing with some familiar faces, sometimes it can lead you on a wild goose chase, sometimes it turns out to be quite intriguing. This certainly falls into the latter camp; Editor Jim was invited to congratulate John Kawola - the former CEO of Z Corporation before its acquisition by 3D Systems – on his new job as Advisor at Voxel8. Who are Voxel8? We pondered, John is also on the board at EnvisionTEC, CEO of Harvest Automation and until April of this year was on the board of directors at SpaceClaim. In the 3D and robotics world John tends to back winners. Their website gives you little-to-no info and the only official line from Voxel8 themselves appear on start-up accelerator competition platform MassChallenge – in which Voxel8 secured a $50k share of a $1.75 million funding for startups. 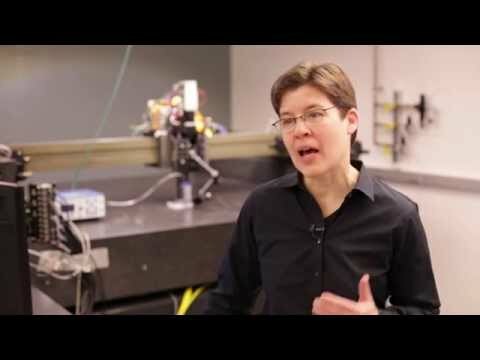 Interestingly Voxel8 is a company spun-out of Professor Jennifer Lewis’s Harvard University Lab, in which the principal activities have included research into 3D printing functional materials. A lot of the research from Lewis Lab centres on the 3D printing of organs and batteries, Voxel8 marks the commercialisation of that excellent research. With people like Prof. Jennifer Lewis and John Kawola behind the project we’re anticipating that Voxel8 could be making big waves in the 3D printing industry in the coming months. More as we get it….